Testing cross-posting to LJ. Testing. Testing. Testing. 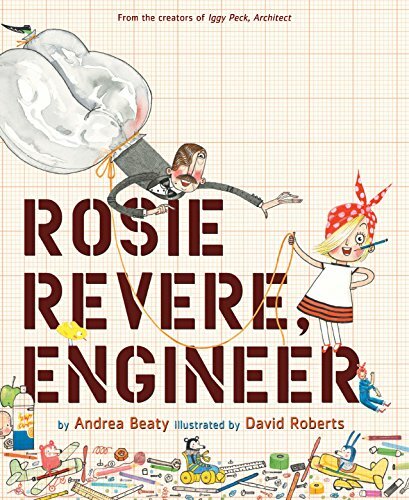 Rosie Revere, Engineer is the best children's book I've read to my kids in a couple of months. It's about a little girl who stopped showing people the things she invented after she got laughed at. It is funny in the absurd way that kids love, it has detailed illustrations that can be studied for long periods of time, and it gives great reinforcement to the idea that failure is only a reason to try again, better. My son bonded really hard with the girl in the book because he wants to be an engineer, too.